With some going for over thousands of dollars on resale markets, the match balls used in prestigious tournaments such as the World Cup or Champions League have become some of the hottest collector’s items amongst football fanatics. With the help of two match ball connoisseurs, we’ve compiled a list of 10 of the rarest and most valuable official match balls that you can find today. Official match balls — or “OMBs” as they’re referred to by collectors — come in a variety of colors, patterns, and shapes (believe it or not some are actually rounder than others), and over the years have developed a unique interest from not only a performance aspect but also a collector’s perspective. The world of match balls is bigger than you think, as many nowadays continue to increase in value. Many are cut off from production as new ball models roll out for each competition, but the evolution and timeline of these balls are still there to be appreciated by all. However, while many will claim they are “just sacks of air,” the scarcity and value of some of these OMBs are no joke. Many are kept in pristine condition and are never ever kicked, for these are a hefty investment to some. What makes an OMB valuable is a tricky question, as there are numerous price-influencing factors to go along with a seemingly endless amount of different ball models. Everything from the condition, the age, the number originally produced, and the sticker of authenticity are all on the radar for keen match ball collectors to determine a price. Then of course, you can also get match balls that were actually used in a game with official imprint on them, as well as special one-off balls used in large-scale charity games and the crazy underground world of prototypes. 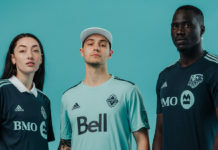 But ignoring them all, even the standard mass-produced official match balls can now sell for a substantial amount and are all unique in their own way through their design and era, almost like each one tells a story of its own. With the help of some match ball connoisseurs and pro freestylers in Andrew Munday and Ashraf Youssef, we’ve compiled a list of 10 diamond match balls from this century that any collector would be proud to own (all of which happen to be made by adidas — shocker). With over 15 years of combined collecting experience, Munday and Youssef were able to tell us not only why these match balls are so coveted, but also how much they are roughly worth brand new in their boxes. This Jo’bulani Matchball also has the imprint from the Netherlands vs. Spain match, so it would have been one of the few balls used or ready to be used at the 2010 World Cup Final itself. 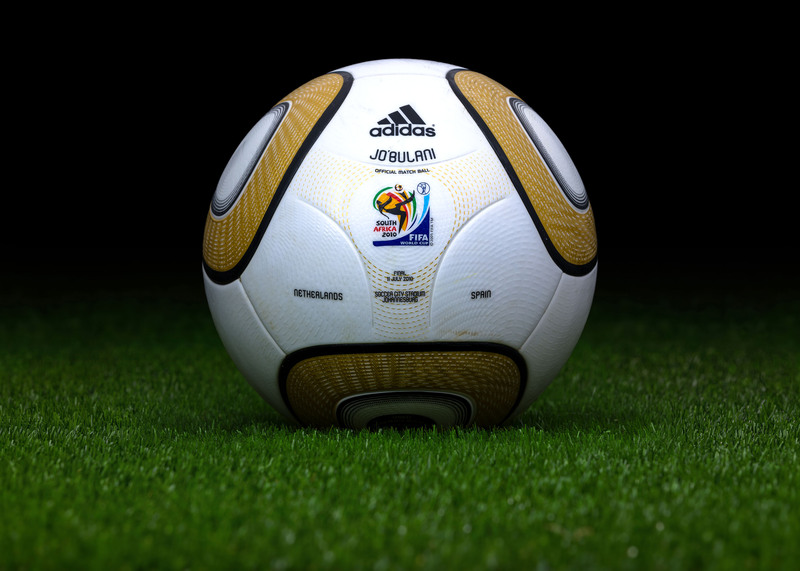 The ball made for the final of the 2010 World Cup in South Africa. 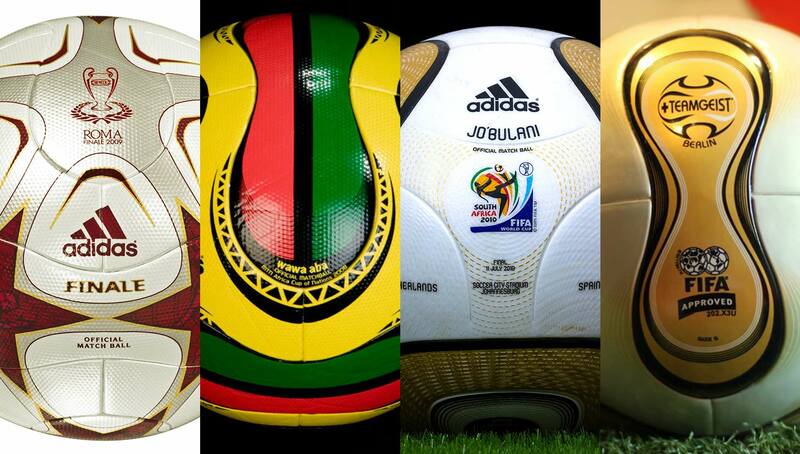 A gold-colored version of the “Jabulani” ball that was used in the World Cup matches leading up to the final, the Jo’bulani featured a unique panel and texture design that has not since been used by adidas. This ball design was notorious for crazy movement and aerodynamics, making it near impossible for keepers at times. However, it has since become rather sought after for that very reason, popular for people practicing free kicks and those partaking in the growing sport of footgolf. But with a lack of this type of ball on the market, they will come at a price regardless of condition. 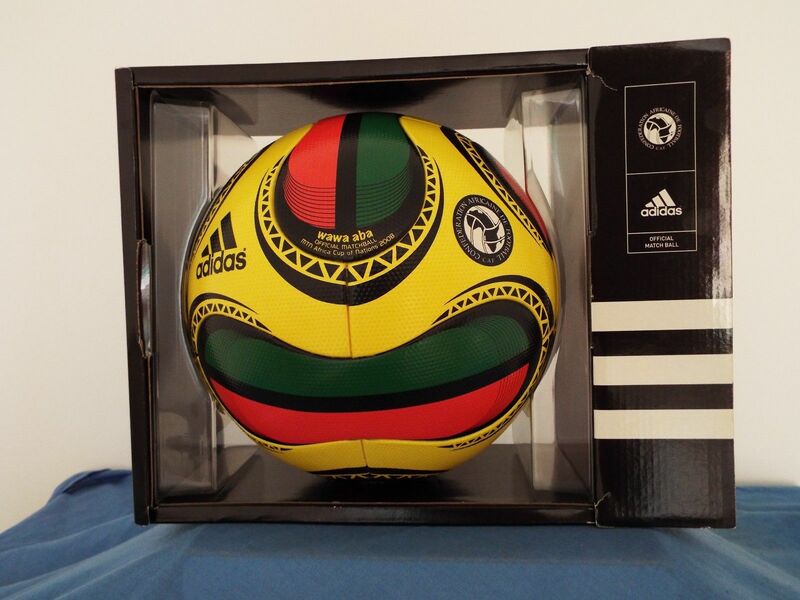 Used throughout the entirety of the Africa Cup of Nations competition in 2008, this ball boasts the colorway of host nation Ghana. The name of the ball “Wawa Aba” is taken from Western Africa where it is used as a symbol for persistence. The wawa aba is also the seed of the wawa tree, which is one of the most used and strongest woods in Africa. This ball for its bold and strikingly colorful design alone, makes a very noteworthy and unique addition to any collection. This is one of the classic and iconic match balls of the 21st century for sure. 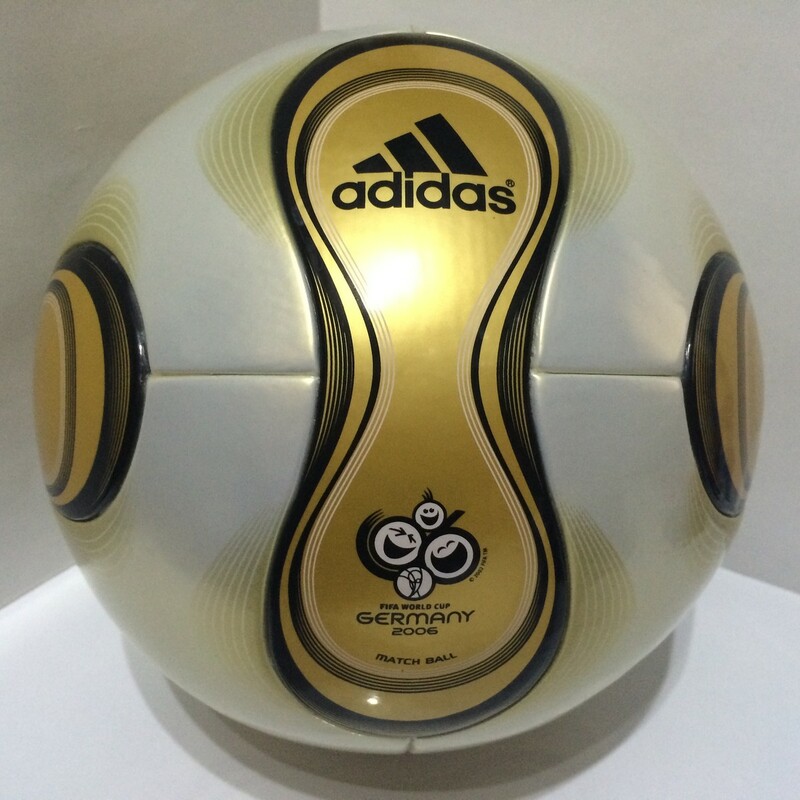 While just about every colorway of the Teamgeist ball was aesthetically pleasing, the gold one used in the 2006 World Cup Final stands out amongst them all. The Teamgeist ditched the traditional 32-panel style that had become the standard in favor of 14 thermally-bonded panels, which made it more weatherproof than the stitched balls that came before it. It must be said that the original Teamgeist is a little on the heavy side in comparison to later designs. The hype around this particular ball might have died down slightly, as it used to go for around £150-£200 more some years ago, but nonetheless it still merits a place up there with some of the classic modern day match balls. One of the lesser-known wonders in the world of match balls, this one unsurprisingly comes from a competition that received next to no media attention, just like the ball it was using. 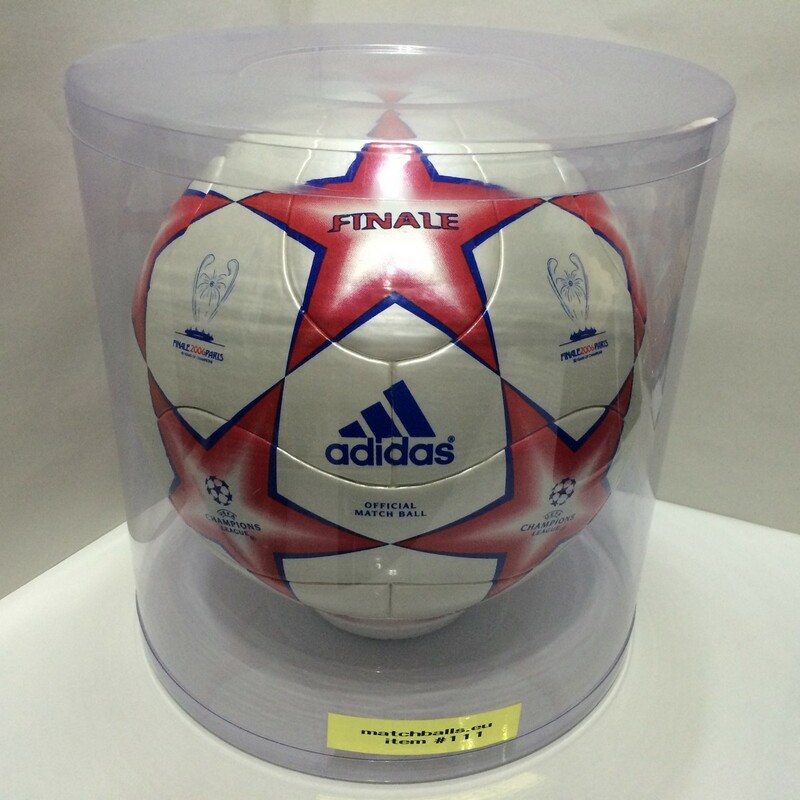 The UEFA Under-21 Euro Championships would have been one of the very few official competitions that used an adidas F50 ball design. 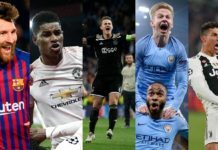 Under-21 competitions could have been seen as an extra means of testing a ball before rolling it out into another competition, altering them in some way, or ceasing production altogether. 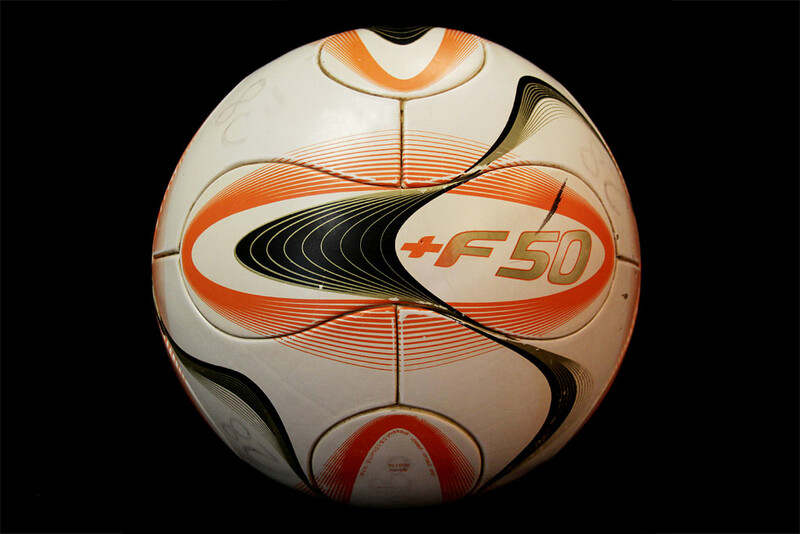 This ball is currently a pretty rare specimen as the F50 official match balls came to an end shortly after this. 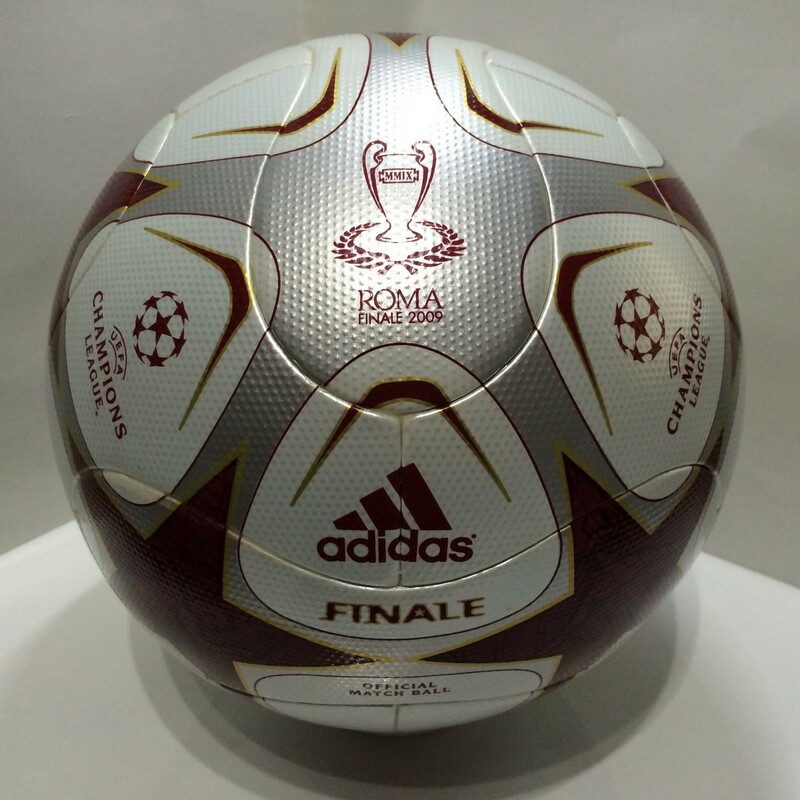 The level of detail and craftsmanship on the Finale Roma is perhaps the most intricate of all UCL match balls ever produced. 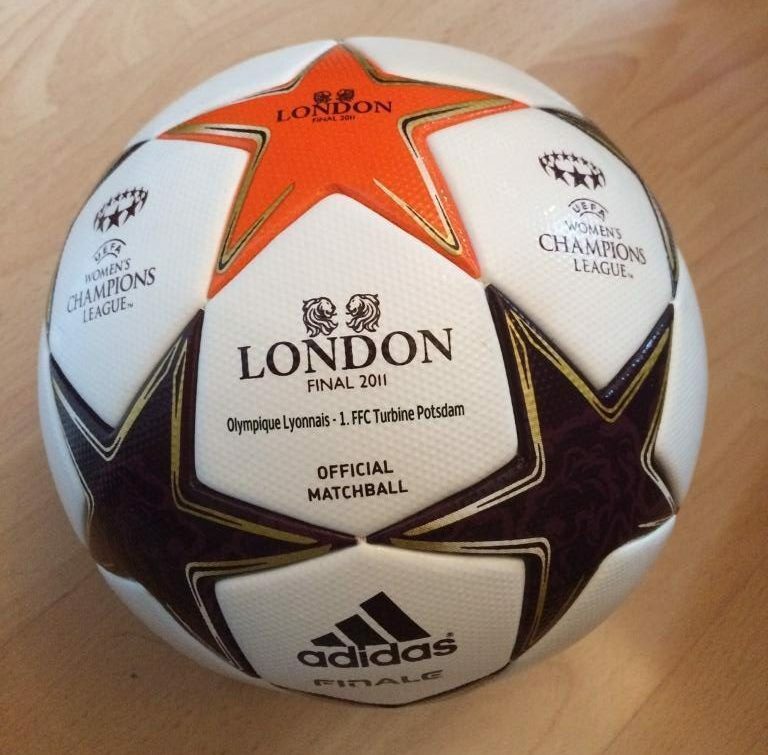 The level of detail in the design of this Champions League ball is unrivaled. 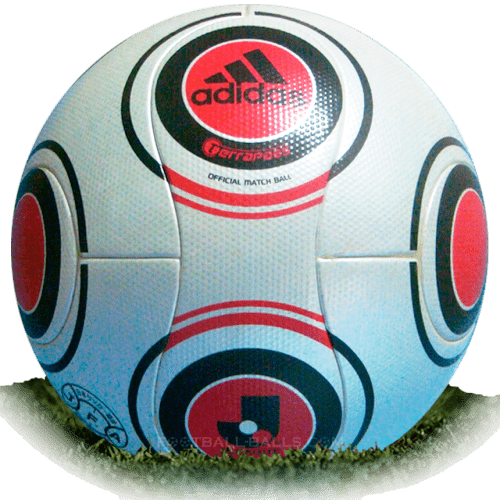 This ball was the last of its kind, just before the Champions League balls started to get simpler, more modern, and mass-produced with a new panel design. Many freestylers sure as hell say this and the Finale Moscow are the best of their kind with a nice weight and touch from the ‘goose-bump’ textured surface, on top being downright gorgeous. It’s no wonder this ball now will cost you a fair bit to own brand new. For whatever reason, the J League and K League of Japan and South Korea, respectively, have always had a habit of using really unique match balls in their domestic competitions. In fact, Molten has at times replaced the tried and tested adidas. But to rewind a decade, one variation on the Teamgeist ball, the ever popular Terrapass, became household across Europe. The J League version of this ball is really something, and its domestic cup competition equivalent in red makes its way into this list for epitomizing the individuality of the J League match balls being both rare and beautiful. The women’s competitions are an often overlooked category of match balls. 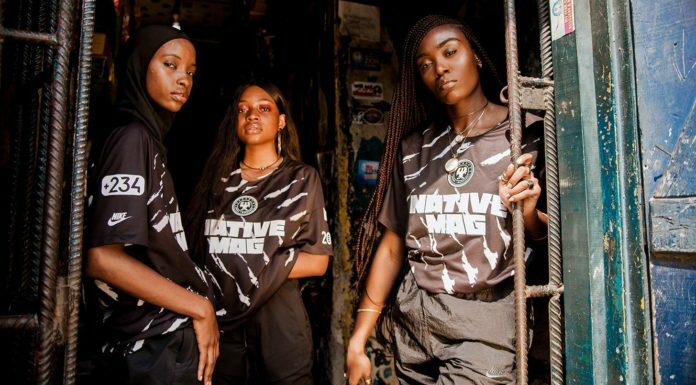 While many would say they have tended to use more “feminine” colorways, this hasn’t stopped some of them from becoming really valuable and hard to find. One of the finest examples is the Women’s UCL Final in London from 2010. Not the most aesthetically pleasing design perhaps, but nonetheless a solid reminder that there is a whole other world of match balls out there courtesy of the female football department. 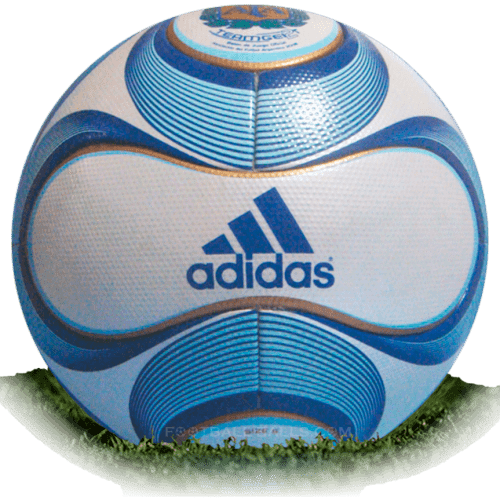 The Argentina Football Association variation of some match balls has tended to produce beautiful colorways and designs that have really appealed to match ball collectors over the years. One to highlight this is the Argentina Teamgeist II, a slight yet special redeveloped version of the classic Teamgeist design. Most people would probably not be able to tell you what the first-ever adidas Champions League ball of this century looked like. Undoubtedly like all trends, the No. 1 original is going to be remembered and valued. 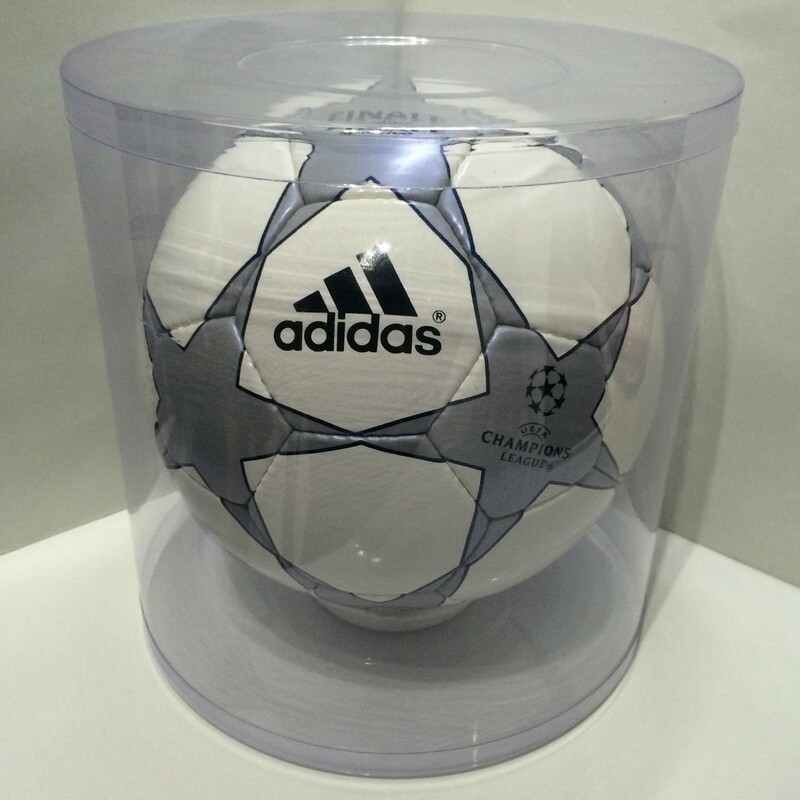 The Finale 1 was the first ball to really incorporate the UEFA Champions League logo into a spherical design that we know and love today. Looking back now, we could say that the quality of this ball is poor in comparison to modern day advancements in technology, but who are we to critique the first of its kind that has since made the Champions League footballs so iconic. One of the things that really makes this ball so special is the era it is from. 2006 was the year that adidas match balls went from being round objects to collector’s items, as they put a lot more attention to detail in each and every ball from here on in. One example of this would be the intricate boxes they came in to make them feel a bit more special. The Finale Paris, a ball designed to commemorate the 50th anniversary of the first-ever European Cup Final, is not only super rare but also the first of its kind to utilize the panel design similar to that of the Teamgeist match balls. Having started a legacy not only in ball technology but in collecting as well, this is a real gem of a match ball and worth every penny.